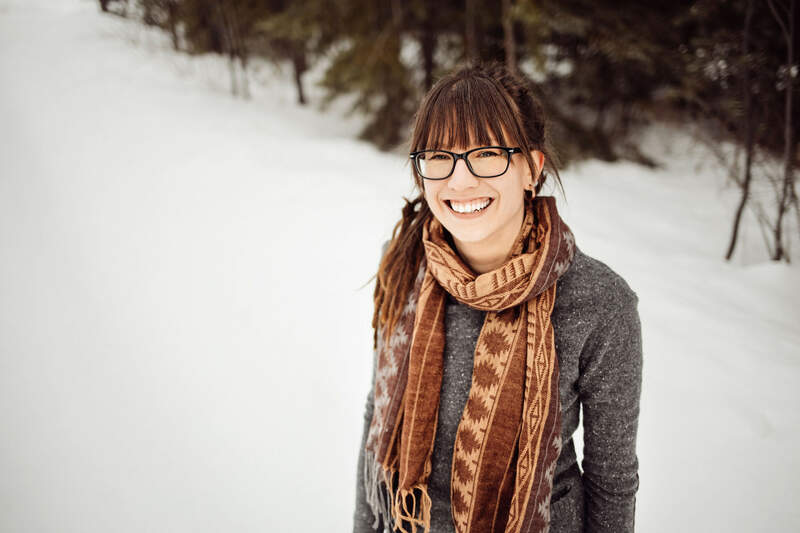 When it comes to maintaining beauty and health overall, I’m a proponent of using natural products. 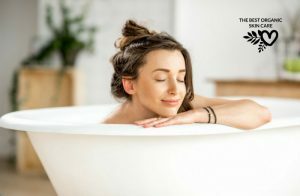 There are many natural skin care ingredients that we can use to provide our body with what it needs to maintain balance and to keep us looking our best. Rosehip seed oil is one of those amazing natural ingredients that can be used in a myriad of ways to support the skin and hair. 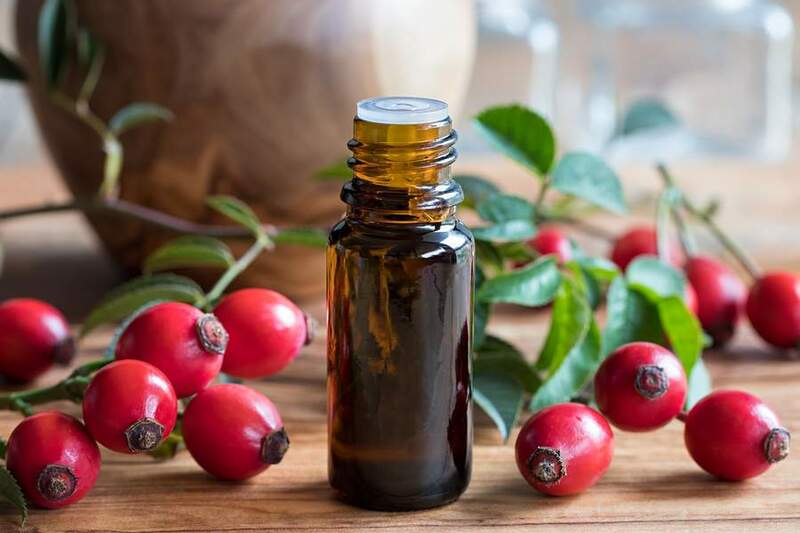 In this article, you will learn about the fantastic benefits of rosehip seed oil, how to make your own, as well as recipes that will help you utilize rosehip seed oil and all its splendors. Rosehip oil is considered to be one of the best carrier oils when it comes to making your own health-nourishing concoctions. This is because of its high antioxidant content along with its essential fatty acid profile. While antioxidants trap the free radicals that age the skin fast and even cause cancer, the function of essential fatty acids is to counteract the drying effects of sun and polluted air exposure and create a protective layer against other external hazards. Rosehip oil is a multivitamin for the skin – It contains Vitamins A (trans-retinoic acid), C, & E. These vitamins help brighten skin, and reduce blemishes and premature aging effects. Furthermore, rosehip oil contains beta-carotene to nourish the skin and protect against damaging environmental aggressors. Lycopene soothes inflammation and helps protect skin from environmental agents that can contribute to clogged pores and breakouts. It is Lycopene that gives this oil its rich amber color. Rosehips high content in Omega-3, 6, & 9 will help regenerate skin cells, reconstruct damaged skin tissue, hydrate dry skin, and improve the appearance of burns, scars, wrinkles and stretch marks. Head over to this article for in-depth information on the benefits of rosehip oil. Note that Rosehip oil is a carrier oil that you can apply either separately, on its own, or as part of a recipe paired with other carrier oils and essential oils for multipurpose use as shown below. 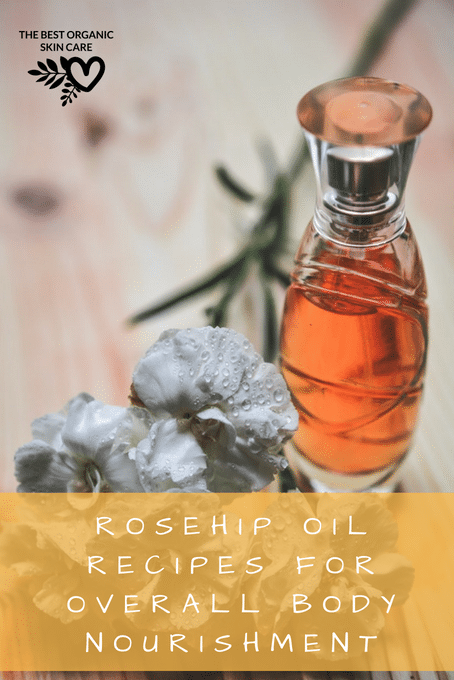 I have compiled several Rosehip oil recipes that you can make at home. 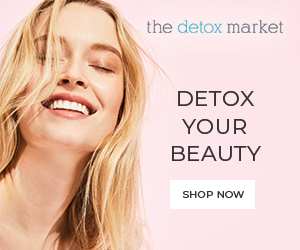 There’s something for everyone – whether you want to nourish your hair or nails, or treat your skin for a particular issue, or maybe just take care and maintain the quality of those – I got you covered. My number one recommended rosehip oil is from Pai Skincare. It is the purest and highest quality rosehip oil you can buy. Another good quality rosehip seed oil is from Pur a’Dor. I like this rosehip oil because it comes in a dark pump bottle, making it less quick to go rancid. The brands I recommend is Leven Rose. Note that this recipe also works for acne scars and stretch marks. 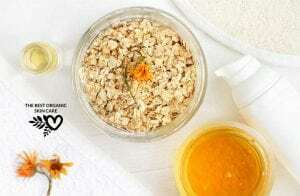 Clean and exfoliate your skin. Apply a drop of the mixture into your fingers. Gently pat the oil around the eyes, forehead, and anywhere you have wrinkles. Add 2-3 drops of Essential Oil for added benefits. Peppermint might be too drying for your scalp, so you can opt for Lavender, Eucalyptus, or Rosemary for nice fragrance and added nourishment. Mix ingredients until smooth and store in 1 oz. glass bottle. Apply a good amount to your hair and wrap it in a towel for the day if you have the time, maybe overnight, or at least for several hours. Pro tip: If you want to use it as mentioned above, as a mask treatment, add Olive Oil to the mixture, to make it thicker for application. Otherwise, use this as a daily moisturizer, you can just apply a few drops to your hair ends after washing to restore shine and protect hair from dry air and sun. Mix ingredients until smooth and store in 2 oz glass bottle. Apply a good amount of it daily to your face and body and gently massage until absorbed. Guys, Rosehip oil, is as unbelievable as it sounds. 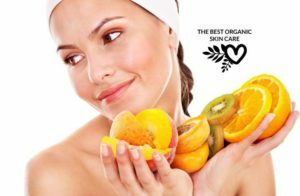 Dermatologists and cosmeticians all recommend it as one of the best all-natural beautifying and healing oils. I’m sure after giving it a try, you will fall in love with it too. 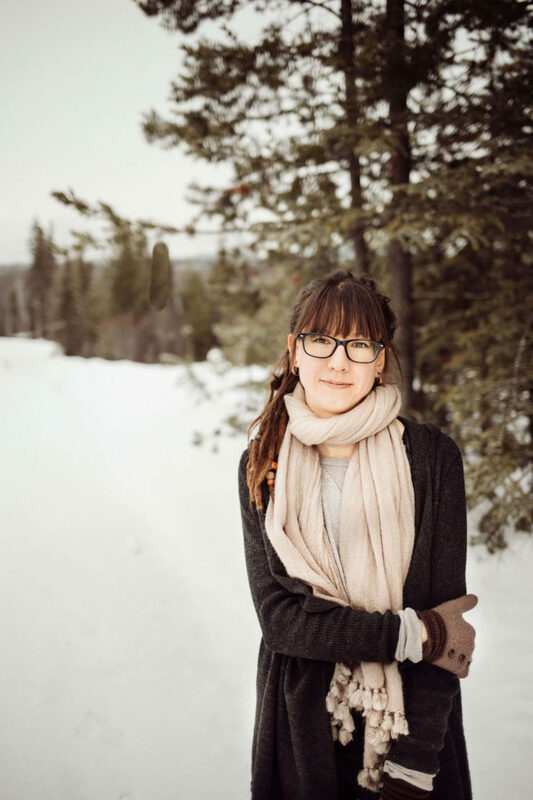 Remember to source your rosehip seed oil from Pai Skincare and your essential oils from Rocky Mountain Oils for the best quality. Have you had any results from using rosehip seed oil? Please share your experience with us in the comment section below. Each tip is much appreciated.